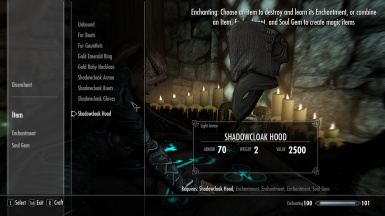 Adds a set of Shadowcloak Armor to the game that, when worn, allows the wearer to turn invisible while sneaking. Please ask before modifying. Many thanks. Millenia ago, before Sithis shacked-up with the Night Mother, he had what the Daedric Princes called "a bit of a thing" with the Night Mistress, Nocturnal. For centuries Sithis and Nocturnal were friends-with-benefits and it was during these halcyon years that they collaborated for the first and only time to create a special suit of armour that could be worn by either of their mortal followers, the assassins or the thieves respectively. 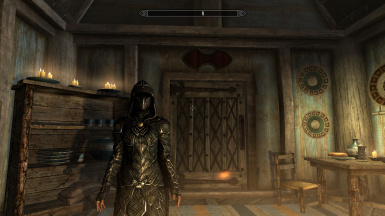 Nocturnal blessed the armour with the ability to cloak the wearer in shadows thereby rendering them invisible, while Sithis blessed it to grant the wearer increased skill at backstabbery. Before they could get the suit into mass production however, things between them got "a bit weird" and they went back to being "just friends". This totally mutual return of the status quo that was totally mutual resulted in a decades long war, fought from the shadows all across Tamriel between assassins and thieves which later came to be called "Operation: Anchorage" though no one understands why. As such, only one suit was ever made and even this single complete set was long thought lost. It turns out however, that it was stored all along in a dusty chest in the bedroom of Breezehome in Whiterun, folded neatly and awaiting a new owner. It bears a strange and mysterious inscription on the inside of the waistband that the foremost Daedric scholars have loosely translated to mean "Chinese Stealth Suit", though even they have no idea what this means. The four pieces of the Shadowcloak Armor set use the equivalent Nightingale Armor models. The full set can be found inside the chest in the bedroom of Breezehome in Whiterun. The full set of Shadowcloak Armor is approximately 15% better than the Nightingale set (with set bonus). If the player wears all four pieces (and only when all four are worn) they gain Nocturnal's Shadowcloak ability. That is the player will turn invisible while sneaking. While invisible, the player also gains the same (double backstab damage) bonus as the Dark Brotherhood gloves. 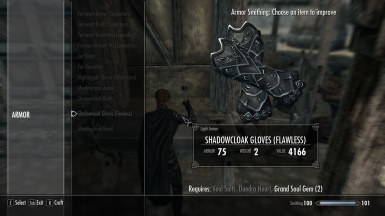 The armor pieces are all enchantable and can also be upgraded (with the "Arcane Blacksmith" perk) at a Workbench. Upgrading requires 1x Daedra Heart, 1x Void Salts, 1x Grand Soul Gem (Filled). The Shadowcloak abilities will not work while wearing less than all four pieces or while in combat. The Shadowcloak abilities do not include a "muffle" component. There are two versions of this mod, one of which has the hood hidden. The other looks normal. Both behave the same as each other in all other respects. 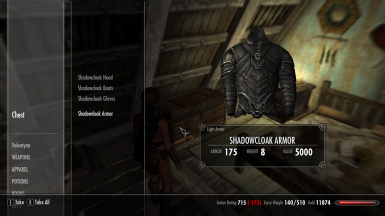 The Shadowcloak Armor is probably as good as, or very slightly better than almost all vanilla light armours and the low-mid heavy armours (varying by skills, enchantments and upgrades). I have incorporated a fix into this mod that will resolve the eyes glitch, whereby the player's eyes get messed up after turning invisible/visible. This fix will only work for this particular mod. To download a fix for this glitch that works with all invisibility effects in the vanilla game (excepting this one! ), please see below. The mod will work as before without SKSE. SKSE is only required for the fix to the eyes glitch. To anyone using the previous version, you may simply overwrite all the old files in your Skyrim/Data folder with the ones from the newer (1.2) archive (hood visible or hidden as you prefer). Lowered protection of Cuirass by 10% of previous value. Download either of the two attached archives and unpack the contents inside the Archive/Data folder ("Daedric Stealth Suit.esp", "Scripts" folder) to your Skyrim/Data directory. On starting the Skyrim launcher, click "Data Files" and ensure "Daedric Stealth Suit" is ticked. 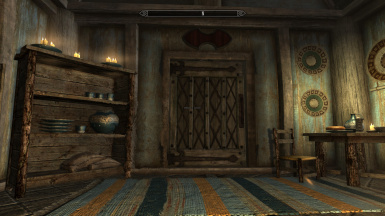 Find it in-game inside the chest in the bedroom of Breezehome in Whiterun. Delete "Daedric Stealth Suit.esp" from your Skyrim/Data directory.